Second Baptist School teachers seek to constantly grow in their craft through professional development. 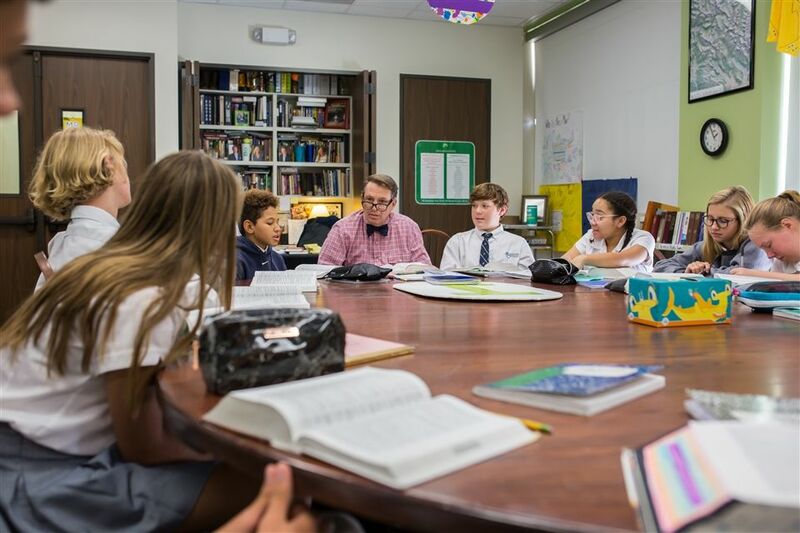 Provided with countless opportunities throughout the school year in addition to Second Fund’s generous donations to help further lifelong learning, faculty and staff at SBS are truly blessed. Middle school Bible teacher Bo Towns attended a conference in Atlanta, Georgia, hosted by Growing Leaders to learn best practices in their “Habitudes” curriculum. Mr. Towns is already putting into practice the Habitudes concepts in the classroom to teach leadership skills and relate God’s design of leaders to be servants. His key takeaway from the conference is sure to stick with students this year as he relates their leadership to an iceberg. Towns looks forward to using this curriculum with his all-male classes. Challenging their ideas of leadership, investing and pouring into them to help sharpen their character. Second Baptist School is blessed by Mr. Towns and his dedication to furthering his own education, in turn impacting hundreds of others on a daily basis for the kingdom of God.